“I want to shake up the old politics. I’ll stand up to the NRA and hold both parties accountable," King says in the ad. 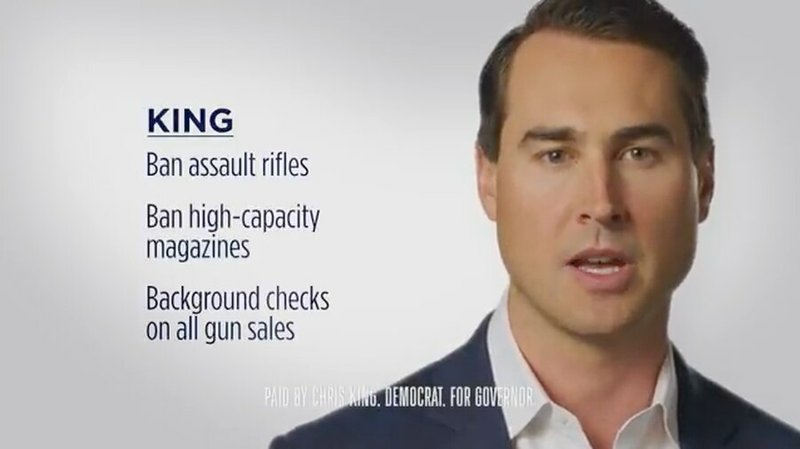 Screen grab from a Chris King television ad released Wednesday, May 30. Credit: Chris King, Democrat for Governor. 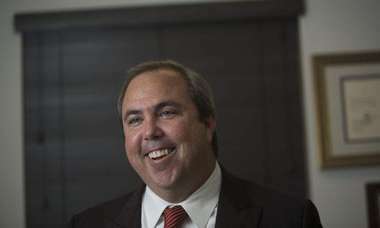 Chris King's first television ad was no fluke. The Democratic candidate for governor is out with a new spot Wednesday that tackles a hot political issue: guns. In the 30-second ad, the Orlando-area businessman calls for universal background checks on gun purchases, an assault weapons ban and a ban on high-capacity magazines. "I want to shake up the old politics," King says in the spot. "I'll stand up to the NRA and hold both parties accountable." 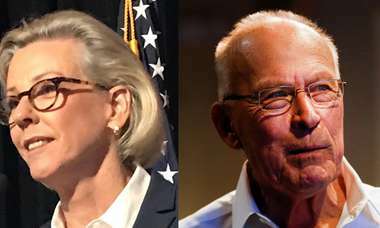 The commercial will air starting Wednesday in the Gainesville, Jacksonville, Orlando-Daytona Beach-Melbourne, Panama City and West Palm Beach-Fort Pierce television markets, per King's campaign. Despite a relatively low statewide profile, King's push onto the small screen shows how serious he is about his long shot run at the governor's mansion. He's now released two television ads in two weeks. "Two years ago, 49 people were murdered at Pulse nightclub –– and Rick Scott and the Legislature did nothing. "Then tragedy hit Parkland. But this time, a movement of young people refuses to accept the unacceptable. "I want to shake up the old politics. I'll stand up to the NRA and hold both parties accountable –– to ban assault rifles and high-capacity magazines, and require background checks on all gun sales. "I'm Chris King and I'm running for governor. Join us."